Catching fish is fun, but there’s no fun when you can’t find the fish. Obviously, you can’t just rely on your 20/20 vision to find the perfect spot to make your cast. That’s why you need a Humminbird fish finder. A fish finder is a gadget you install on your boat which helps you find fish underwater. It sends out sonar impulses that travel through the water. These sonar impulses are deflected back by the fish in the water, and then the fish finder determines where these fish are. The information is then displayed on the fish finder screen. In addition to finding fish, the device can also measure how deep the water is, locate any debris in the water, and map out the bottom structure. For all these reasons, a fish finder is immensely useful whether you’re a fanatical angler or just a casual weekend fisherman. So it’s understandable why you’d want one. It’s also understandable if you limit your potential choices to just the Humminbird brand. Humminbird has an excellent reputation for quality and ease of use. What’s more, it’s been responsible for many of the technological advances in the fish finder niche. 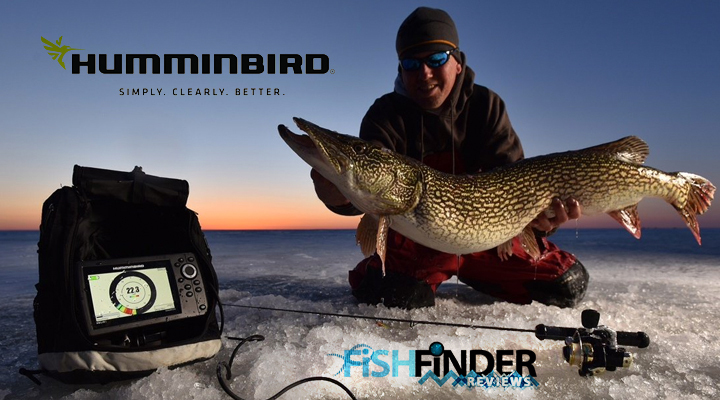 So how do you pick the right Humminbird fish finder? Here are some excellent options categorized by price range, so you can find the best one you can afford. Who says you need to spend a fortune to get a best fish finder? With these Humminbird fish finders, you get your basic info that can improve your chances of success considerably. Humminbird PiranhaMax 197C for a basic fish finder that often used as a backup or just as a depth finder, the display features are good enough. It measures 3.5 inches diagonally, with a display resolution of 240 H and 320 V. Though this is a bargain model, you get a color display with 256 colors. A color screen is easier to see even in bright light. Surprisingly, you also have dual beam capability. The coverage angles are at 28 degrees with 200 kHz frequency and 16 degrees at 455 kHz frequency. The continuous power is rated at 300 watts. Supposedly, the depth capability can reach 600 feet. But a 300-watt/200 kHz is only good for 300 feet, while at 455 kHz it reaches only about 135 feet deep. Basically, you’ll want to use these for shallower waters. A lot of anglers actually like this Humminbird fish finder, since it works as expected. It may not offer a lot of features, but the features it does have can help. It’s very easy to install, the screen display is easy to read, and it’s extremely affordable. Once again, you a 3.5-inch screen with 240H and 320V resolution. You have up to 256 colors available. However, the extra money you pay (it’s not really a lot of money, to be honest), gets you the Down Imaging feature in addition to the Dual Beam. This is a feature that gives you a high resolution image of things right underneath your boat. Thus, you get coverage for 28, 16, and 74 degrees. The sonar frequencies are 200 kHz and 455 kHz, with 455 KHz for the Down Imaging feature. So let’s say you’re using your 2D sonar and your screen displays something interesting. It may be fish, or it may be a rock. This down imaging feature gives you a “fish eye view” that clarifies the issue. This is also an extra feature that can help you identify actual fish among debris. The fish finder will display a fish icon when it thinks that the detected object under the water is fish. You have 3 different fish icons to indicate the size of the fish. In addition, the depth of the fish is also indicated. The power again is 300 watts and the depth capability is supposedly 600 feet. For the Own Imaging, the depth capability is 320 feet. Humminbird PiranhaMax 197C DI is a lot of value for very little money. With the Humminbird HELIX 5, the screen measures 5 inches and 256 colors are available for the 800H and 480V resolution. That’s an excellent resolution with a very bright LED display. This display offers several advanced features not included in the cheaper models. These include split screen, zoom, large digits, freeze frame, and custom views and digital readouts. With the Dual Beam Plus, you have a beam with a narrow 20-degree focus with the 200 kHz frequency. This first beam is usually targeted for the bottom surface so you can see the structure, the weeds, and the cover. At the same time, you also have a wide beam working with the narrow beam. This second 83 kHz beam is set at 60 degrees, so it surrounds the first beam. The coverage is actually equal to the depth. So in 30 feet of water, this wide beam has a coverage that’s 30 feet wide. This second beam is usually what you use to hunt the fish. You can view these beams separate, or in split screen mode side by side. You can even blend the views together so you can get a clearer picture of what’s under the water. There’s also Selective Fish ID+. In this case, the targets found by the 200 kHz narrow beam are represented by orange fish icons, while the targets found by the 83 kHz beam are displayed with blue fish icons. Again, the icons will also indicate the relative size of the fish. The power output RMS is 500 watts, and it’s rated for a depth of up to 1500 feet. Aside from the numerous display features, you also get real time sonar that indicates sonar intensity. It also has a temperature alarm, which sounds when the water temperature reaches the alarm setting. Humminbird HELIX 5 is a high-quality fish finder that’s available for a budget price, so it’s a steal. It’s easy to use and it works well in showing you the depth and the size of the fish. Many anglers prefer to spend a bit more, so they can get better features. These models may be a bit more expensive, but they’re easier to use and offer a lot more information. Once again you have the backlit 256-color LED display, measuring 5 inches. The resolution is quite detailed at 800H and 480V. There are also the extra display features you don’t normally get with more affordable models. These include the use of large digits, split screen zoom and bottom lock, and a split screen view showing the wide and narrow sonar beam cones. You can get custom views and readouts, freeze frame, and instant image updates. The sonar coverage offers 4 options, and you can choose the angle focus of the beam at 16, 28, 45 and 75 degrees. Now you can use one narrower focus and a wider focus simultaneously. The narrower beam is more powerful and it offers greater depth. It’s used not just to find fish, but also to show you the bottom structure and cover. The wider beam surrounds the barrow beam and it’s is then able to help you search a wider area to find the fish you’re looking for. Together, you get a more accurate idea of what’s beneath your boat. To really tell you what’s going on down there, you may need another point of view. The Humminbird Helix 5 DI even offers Down Imaging. This gets you a “fish eye view” that really provides a more precise picture of the underwater scenario. The Down Imaging feature will tell you if that object under the water is actually a fish or not. If it is, the screen even uses fish icons on the display. There’s also a Selective Fish ID+ feature, so you’ll know the relative size of the fish. The fish icons used are of different sizes. This is a new feature that was introduced in 2015, and it’s great that even an affordable model like the Helix 5 DI has it. This feature gives you 2 distinct display modes, so you can pick one that’s right for whatever situation you’re in. With the Clear Mode, the clutter is reduced on the screen. That gives you a simpler and clearer view of the structures and the fish. In rough water, this kind of display may be what you need. In smooth waters, you can choose the Max Mode instead. This mode will show you just about every little detail. You get to see the fish, structure, and cover. You’ll view info about the thermoclines and the water current. All the info can actually make it easy for you to check on your lure under the water. The power output RMS is 500 watts. That’s good enough for a depth capability for 600 feet, with a depth of 350 feet for Down Imaging. This offers real-time sonar and a temperature alarm that tells you when the water temperature has reached the temperature setting you’re set. The software of the fish finder is upgradeable, so long as you connect it to your PC. Yet it comes with an impressive suite of features. With this, you will get a very clear picture of what’s under your boat. Fishing becomes easier when you can find the fish, and you can do that with this. The Humminbird Helix 5 DI GPS has the same exact features as the Humminbird helix 5 di. But it also has a few extra features more. This the usual display you get that’s much better than your basic display screen. It’s a 5-inch 256-color display with 800H and 480V resolution. Again, you have all the advanced features that are available on the other fish finders on this list. That means you have split screen zoom and bottom lock, large digits view, custom view selections and digital readouts, freeze frame, and instant image updates. The fish finder sonar sends down 2 beams together. You have a narrow but more powerful beam that you use so you can “see” the cover, weeds, and structure, as well as any fish that may pass through that tight space. But you really won’t have a good chance of finding fish with such a barrow beam. That’s why you also have a much wider beam to search the water for fish. With this fish finder, you can pick an angle for your beam ranging from 16, 28, 45, and 75 degrees for your 2 beams. What’s down there under the water? Is it fish or something else? This feature allows the fish finder to make that determination. If it really is fish, the display will show fish icons. It even tells you the relative size of the fish with the 3 different sizes of fish icons. Since this also has Dual Beam Plus, the fish on your display will be orange when it’s detected by the narrow beam. If it’s detected by the wider beam, the icon will be blue. For a truly accurate picture of the world underwater, there’s also this Down Imaging feature. Basically, this gives you an extra “fish eye view” that gives you the extra details you need. With the split screen view, the display makes a lot more sense when you use Down Imaging with charts or with Switchfire. Switchfire offers you 2 ways of presenting the data on your screen. On one hand, you have the Clear Mode. This mode removes the likely clutter so you have a simpler picture of the structure and the fish. This makes the display easier to read, which you need if you have to deal with rough waters. 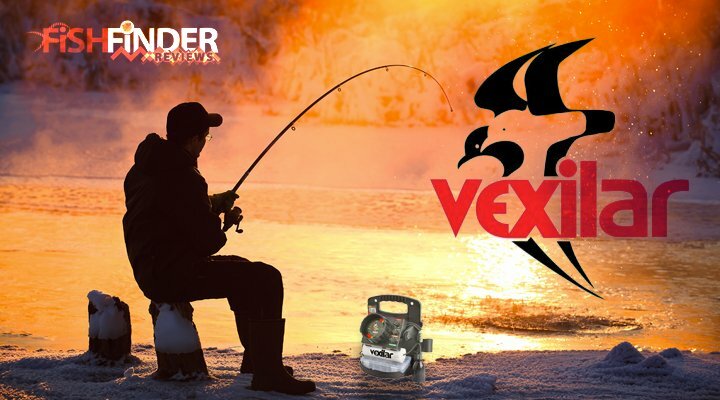 If the waters are smooth, then you may want to go with the Max Mode. This puts in all the data regarding the fish, thermoclines, structure, cover, and the water temperature. You can use this together with the Down Imaging feature on the split screen, and you’ll have an excellent view of the structure and the fish. This has built-in GPS, and features like GPS tracking and chart plotting are included. With this feature, you always know precisely where you are, because it’s so precise that the position fix indicated is accurate to within 2.5 meters. You won’t have to worry as much about fog. Also, you can plot and mark the fish hotspots, and you can return to those spots again and again. A hotspot like that is like an affordable yet excellent restaurant—you’ll want to keep returning to it over and over again. You can use this to save your screenshots, waypoints, and sonar recording. It’s also a way for you to upgrade your software. For advanced cartography, it can be very useful too. With more features, it can get a bit more expensive and a bit more complicated. Still, it’s a very solid fish finder with all the features you’re very likely to use. It’s a typical Humminbird. It’s well-made, the list of advanced features is impressive, and the price is lower than you’d expect. If you’re a serious angler, then all these features (including the micro SD card reader) will be much appreciated. But even casual fishermen will want to have this fish finder. Aside from the many features that find fish, you also have GPS. This will keep you from getting lost and you’ll find it much easier to find all those spots where you got your fish. The resolution remains at 800H and 480V, with 256 colors that can be displayed. However, the main difference is that now the screen is bigger at 7 inches diagonally. It has a 16:9 ratio for the screen, and this makes it easy to view when you’re on split screen mode. The advanced features for the display include splits screen zoom and bottom lock, large digits view, custom digital readouts and view selections, and instant image updates. The images on the screen will be bright and very crisp, so don’t worry if you have bright sunlight shining down on you. You’ll still be able to view and read your display. Fish finders use sonar to find fish underwater. The more powerful high frequency beams are narrower, but to get wider coverage you need to stick with lower frequencies. Each has their own pros and cons. But with this dual beam feature, you can use both a narrow and a wide beam to find fish. 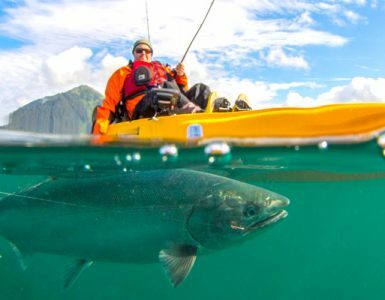 The narrow beam is more useful to map structure and cover, while the wider beam around the narrow beam makes it easier for you to find the fish. But this feature is called Dual Beam Plus. That’s because you can choose your 2 beams from among 4 different options. The various angle choices are a6, 28, 45, and 75 degrees. To further improve your chances of finding fish, you also have the Down Imaging sonar that uses high frequency sound waves. Somehow, it’s able to provide you with a “fish eye view” so you have a clearer idea of what’s underneath your boat. When something blocks the pulses sent by the fish finder, it’s deflected back so you know that something’s there. But what is it? Is it a fish or not? With this feature, you won’t have to guess. The fish finder will compute and determine that for you. To make things clear on the display, it even shows you a fish icon if the fish finder thinks that it’s fish. There are even several different sizes of fish icons to indicate the relative size of the fish. Use this with Down Imaging on splits screen mode, and you can really find out what’s going on under the water. The Switch Fire feature offers two different modes to present the data. You can pick the clean mode, and the fish finder will keep the clutter from showing on screen. You’ll find it easier to view the screen if you’re sailing on rough waters. But what if it’s smooth sailing? In that case, you can use Max Mode. Here it’s packed with data, so you can see fish, cover, structure, thermoclines, and water currents. You have all you need to check on your lure under the water. Yes, it has real time sonar, temperature alarm, and upgradeable software. However, the Humminbird Helix 7 DI Fish Finder has GPS and this one doesn’t. In exchange, you do get a much better screen that’s very easy to view. If you don’t care much for GPS anyway, then this Humminbird Helix 7 DI is the fish finder model you get. This is more expensive than the Humminbird Helix 7 DI, and that’s because the Humminbird HELIX 5 SI GPS has more features. It’s a 256-color display with 800H by 480V resolution. It’s a Helix 5, so the screen is only 5 inches across the diagonal. Here you can use a narrow 20-degree beam to send out a strong pulse down. It can accurate map put structure, cover, and weeds, plus the occasional fish. But you can also wrap this beam with a wider 60-degree beam, which can offer a better chance of finding the fish right underneath your boat. The depth capability of this 500-watt fish finder is at 1500 feet for the dual beam. This is an additional way to ascertain what’s underneath your boat. With the use of high frequency sound waves, you’re provided with what’s essentially a “fish eye view” of the world down under the water. Humminbird is the first fish finder company to offer this feature. Instead of sending the sonar pulses down only, now you can also send sonar pulses to either side of the boat! So the fish can be swimming shallow alongside your boat, and your dual beams won’t detect them. But the Side Imaging sonar can. This has a range of up to 100 feet. This is the display that lets you choose between an uncluttered screen (good for rough waters) and a display full of numerous bits of data that can let you check on your lure. On the display, it will show fish icons if the fish finder thinks that there are fish under or beside your boat. What’s more, it will even indicate the relative size of the fish by using one of the 3 sizes for the fish icons. Having GPS for your boat is quite useful and now you have one in the fish finder. It’s very accurate, so you’re within 2.5 meters of the indicated location. 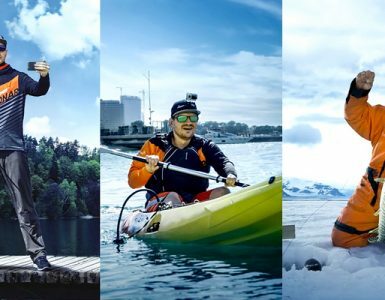 With this, you can find out how fast you’re traveling if you’re on a kayak. This can keep you from getting lost and help guide you when it’s foggy. Also, if you’re lucky and you do find fish, you can then use the GPS features to mark the location on your charts and then you can easily find it again. This also comes with a built in map. This is the very best of the Humminbird Helix 5 series and for good reason. You have a lot of features here for finding fish, and that includes GPS, a micro SD card reader, and the innovative side imaging feature. Fishing is serious business (or serious fun) for some. That’s why they don’t mind spending serious money for serious features. You have to pay for quality, but you’ll get your money’s worth with these top of the line Humminbird models. Since all these advanced models have a very long list of features, let’s just highlight the crucial ones. It has the Switch Fire feature that offers Clear (uncluttered) and Max (lots of data) modes for the data display. With the Selective Fish ID, you have fish icons on the display and different sizes of icons to represent sizes fish. Here you have dual beams that use both narrow and wide beams at the same time. With this, you can view the structure and the fish very clearly underneath your boat. The Down Imaging sonar also adds an additional “fish eye view” that provides a lot more details concerning what lies beneath. This GPS feature lets you find your location and also helps you navigate even with fog. Getting lost should be less of a problem. It also comes with a map that somehow covers the entire contiguous US coastline, including inland lakes and rivers. With this, you can find your way back to your hotspots, since you can use it to plot your charts. It comes with a micro SD card reader, and you can get updates for your fish finder software. Humminbird helix 7 DI GPS is a very solid fish finder, with advanced features to make it so much easier to find fish underneath. With the GPS, you’ll also know the way home and the way back to your hotspots. The display is crisp. Just about everything you need is here. This has all the great features of the Humminbird Helix 7 SI, except that it has additional features. That means it also has a 7-inch screen, micro SD card reader, Dual Beam Plus, SwitchFire, Down Imaging, and Selective Fish ID+. Here, the GPS is much more precise, so that you’re within 2.5 meters of where the GPS says you are. That makes navigation much easier. You can mark the location of your hotspots, and travel even through fog. What’s more, you also have the vaunted Side Imaging feature. Now if the fish is beside you and within 100 feet, you’ll find them. You won’t have to be right on top of them to find the fish. This is a great relief for those who can get very frustrated at coming up empty. Now if you have the budget, then perhaps this is what you really want. It doesn’t just have everything you need. Now it offers features you never even considered was possible. The 9-inch display offers 65,000 colors. The side imaging is good for up to 360 degrees. You can also pick among the 5 preset views. You have dual SD card slots. So you can use one to save your screenshots and sonar recordings, while the other is for advanced mapmaking. There’s the Contour XD, which is a built-in map of 3,000 US lakes with depth contours, with many more without contours. There’s radar and AIS technology, so you can find out what’s around you, including other boats. You can make your own maps with AutoChart Live. You can even control this Humminbird wirelessly. Humminbird Helix 9 is the best 9-inch fish finder. Pick one that matches your budget and your needs. But pick one. Humminbird has built an excellent reputation for quality and innovation, and one of their fish finders will do the trick. With a Hummingbird fish finder, find the fish becomes easier, going out on your boat can be safer, and fishing becomes a lot more fun!